KUALA LUMPUR: Improved economic outlook for the second half of 2017 (2H17) is expected to support the anticipated 14th general election that will be called by Prime Minister Datuk Seri Najib Razak’s ruling party, which may take place as early as September or October, according to Nomura. “The likelihood of Barisan Nasional (BN) winning more seats is a real possibility [if the election is called this year],” Nomura senior economist for Southeast Asia, Euben Paracuelles said in a conference call here yesterday. Nomura has forecast a higher gross domestic product (GDP) growth for Malaysia this year, an upward revision to 5.3% from 4% in end-March — against a consensus of 4.5% — on improved exports outlook, particularly in the electronics sector. This will likely work in BN’s favour in its bid to retain power as a strong domestic economy will be something it can “use to its advantage, to claim credit and get more votes,” said Paracuelles. He also noted the current fragmentation in opposition parties as a weakness BN may capitalise on. Moreover, shocks from 1Malaysia Development Bhd’s (1MDB) ongoing suits brought by the US Department of Justice appear to be tapering off, he said. In the meantime, downside risks, like Malaysia’s vulnerability to US interest rate hikes, have dissipated quickly, while spillovers of growth from exports-oriented industries into the domestic economy could boost employment and private consumption, he added. However, the economy is unlikely to see much fiscal support or stimulus despite it being a possible election year, as “a very tight fiscal policy is necessary for the government to maintain its budget deficit target of 3% [for 2017],” Paracuelles noted. A win by the ruling party is likely to be positive for investors as Najib will be able to maintain fiscal reforms such as the goods and services tax and subsidy rationalisation, he said.”If the opposition wins more seats, it would be seen as negative as [the continuation of those] reform measures would be less certain,” he said. 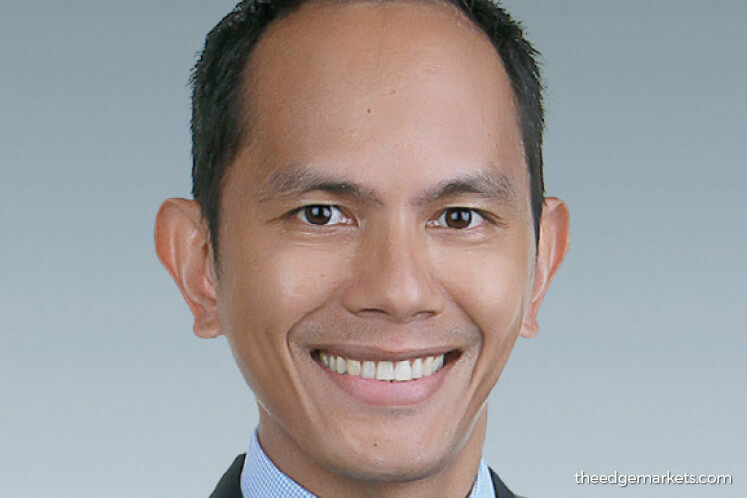 He is also of the opinion that the usual political noise surrounding elections are unlikely to derail the train of growth Malaysia is riding on into 2H17, and that a “no-change in government” means no additional pressure on sovereign credit ratings. Meanwhile, he thinks Bank Negara Malaysia is only likely to increase the overnight policy rate if debt levels rise. One of the indicators the central bank may be looking at is the pickup in activity in the equities market, Paracuelles said. The ringgit, which outperformed most Asian currencies to-date, was mainly driven by higher exports, which led to an improved current account balance, he said. He maintained Nomura’s forecast on the ringgit at 4.32 against the US dollar by end-2017, and 4.26 by end-2018. Positive upsides include a likely US Federal Reserve rate hike in December, assuming a balance sheet reduction seen in September. As for inflation, that moderate going forward after peaking in March, he said. “If oil prices [stays] low, inflation will almost immediately fall.” He also noted low Brent crude oil prices no longer have a prominent fiscal effect on the Malaysian economy. Separately, he said Malaysia’s unemployment rate remains relatively stable and should decline further, given continued pick-up in exports growth. But while exports will still be driven by the electric and electronics (E&E) sector, he forecast growth in the sector will gradually moderate to a slower pace than was seen last year. Still, inventory restockings and launch of the iPhone 8 later this year should support the E&E sector, as is an expected stable growth of China’s economy in the rest of 2017, he said. Nomura is also broadly optimistic about growth across other countries in the region, like Indonesia, Thailand and the Philippines. However, it is less so on Singapore, citing a headline growth of just 1% after stripping contribution from the semiconductor industry, which contributed over half the nation’s GDP. “There is no other driver of [Singapore’s] economy,” Paracuelles said, adding unemployment rate had also increased.